What is the Best Character Class? 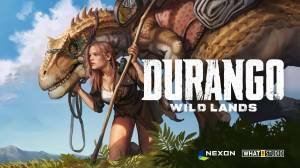 Durango: Wild Lands is a post-apocalyptic survival MMORPG available on iOS and Android where players are thrown through a time warp into a world inhabitated by both present-day humans and prehistoric dinosaurs. Humans are a minority, a worldwide cataclysm has destroyed civilizations and deprived the survivors of modern technologies. Those that remain are forced into forming alliances so they can work together to fend off starvation and savage beasts. The game begins on a moving train of people where you must choose which character you want to play as. Each of the characters have a starting boost in a skill depending on their speciality which is determined by their class. There are 8 classes and a choice of male/female for each of them. As the game progresses you will be able to customise the appearance and the skills of your character to whatever you like. No discussions open for Durango: Wild Lands at the moment.